The man burns in 11 days. 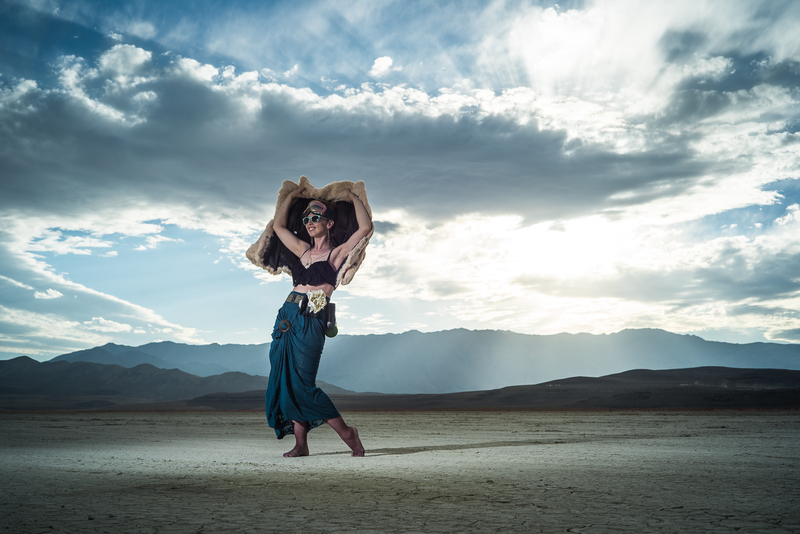 With a planned arrival in Black Rock City one week from today, we’re finishing up our costumes for this year’s burn. 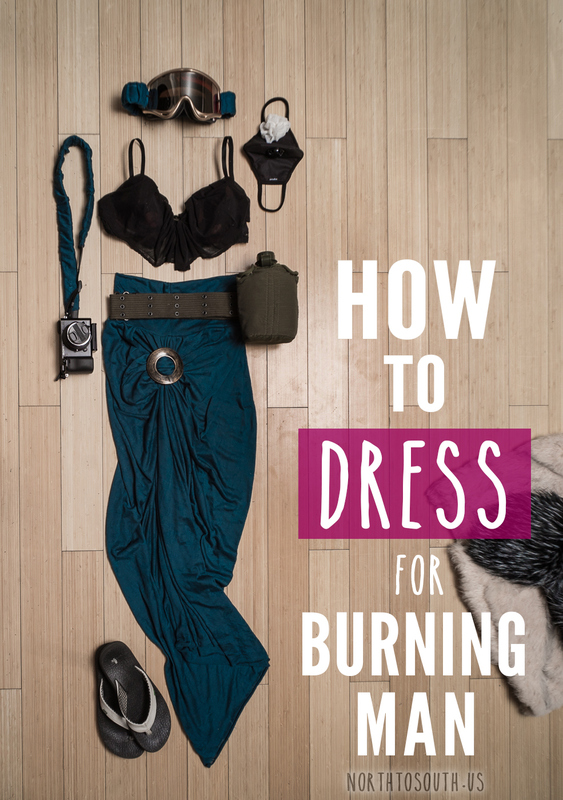 Since costume planning is my favorite part of preparation for Burning Man, I figured I’d share it here to go along with my recent post How to Prepare for Burning Man. Also, don’t wear anything branded. That would kind of go against the whole spirit of Burning Man. Prepare yourself for hot days and cold nights. And while you’re at it, take a few simple precautions for unpredictable weather, too. 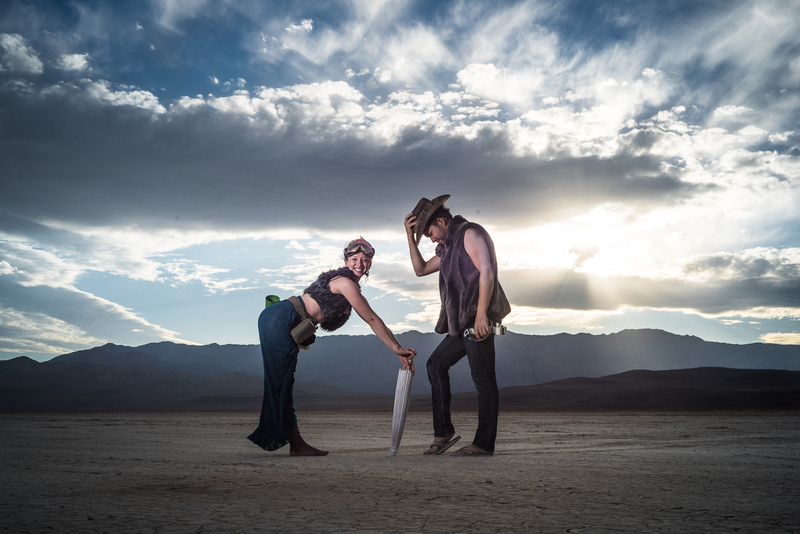 Lately, there’s been bouts of rain in Black Rock Desert, and if a storm rolls in while BRC exists, you’ll want to be ready. So do yourself a favor and spend a buck on an emergency poncho and pack some shoes that will fair well in mucky playa. I made this top by sewing some sheer fabric to an old bra. Cheap and simple! A week in the desert is a long time, and you’ll want to make sure you’re comfortable. No matter your costume choices, don’t forget these essentials. Dust Protection – If you’re generally an allergy ridden person, sensitive to dust, or if you wear contacts, invest in covering your face. 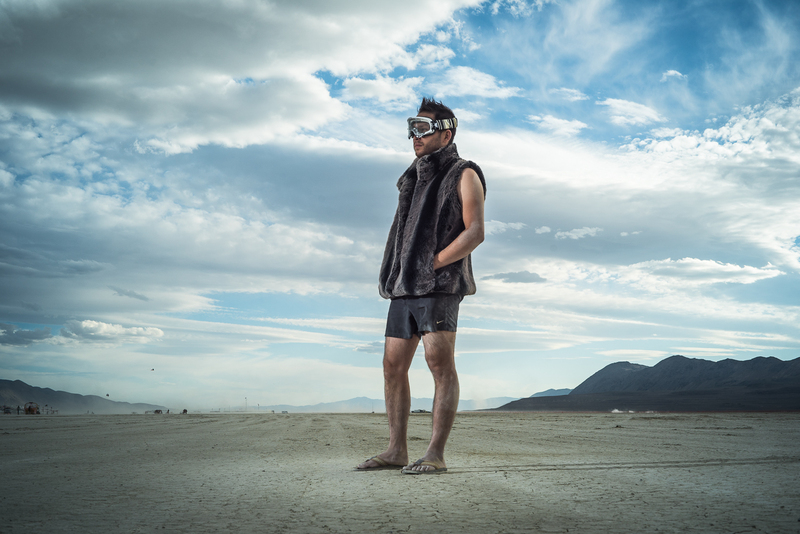 A pair of well-sealing goggles and a dust mask will do wonders for getting you through dust storms unscathed. To prepare this year, I ordered disposable contacts, invested in a pair of motocross goggles, and I also opted for a washable cloth mask, though the less expensive disposable masks work just as well. 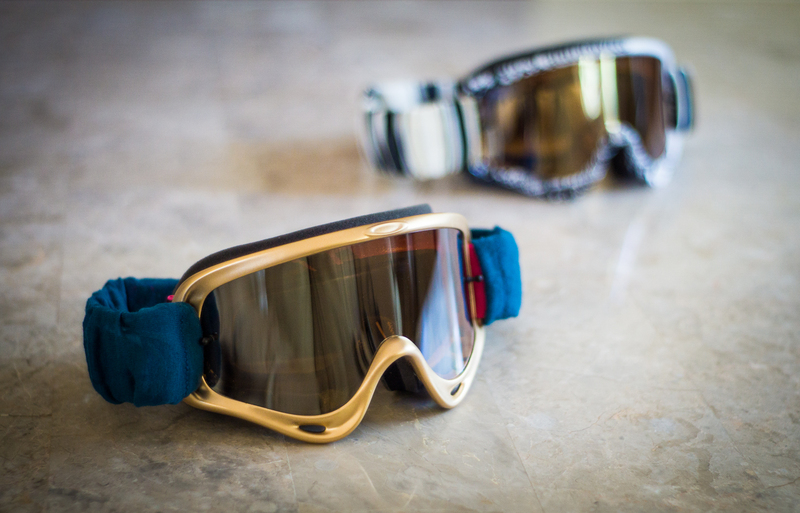 For both mask and goggles: Find one that will fit well and conforms to your face. Sun Protection – Slather on the sunscreen. I like fresh smelling, non-slimy sunscreen, and I like to have one specifically for my face, too (one that won’t run into my eyes when I sweat). Neutrogena always seems to have the best good smelling, grease free options. And I’m liking the facial lotion I recently found at Trader Joe’s, so I think I’ll bring that along. Though it’s only SPF 15, I’ll have either a hat or my new parasol with me during the sunniest times of day. 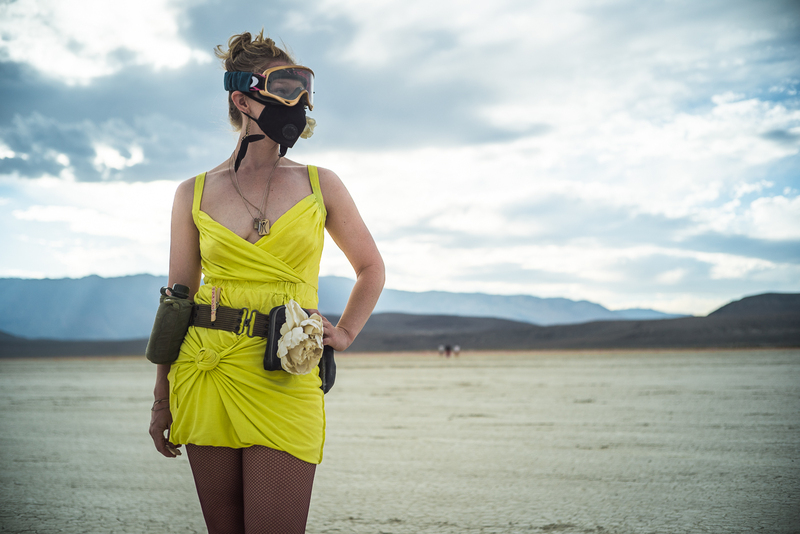 Ultimately, what you wear at Burning Man should be all about self expression. To put it simply: wear what you want. It’s a week-long break from the default world. Rather than judging, people will applaud any “out-of-the-ordinary” attire you choose. On a similar note, if you don’t want to wear an attention-grabbing, elaborate, this-took-me-six-months-to-make type of costume, you certainly do NOT have to. Plenty of people at Burning Man keep it simple. I’m keeping my BM attire simple, functional and comfortable this year (see photos below). Don’t feel pressured to spend a bunch of time, energy or money on what you wear. But if it suits you, go for it! View photos of us and our campmates in costume at our 2014 burn here! If you’ve got any great idea gathering tools to share, or if I missed any frequently seen costume items in my list above, post a comment below. 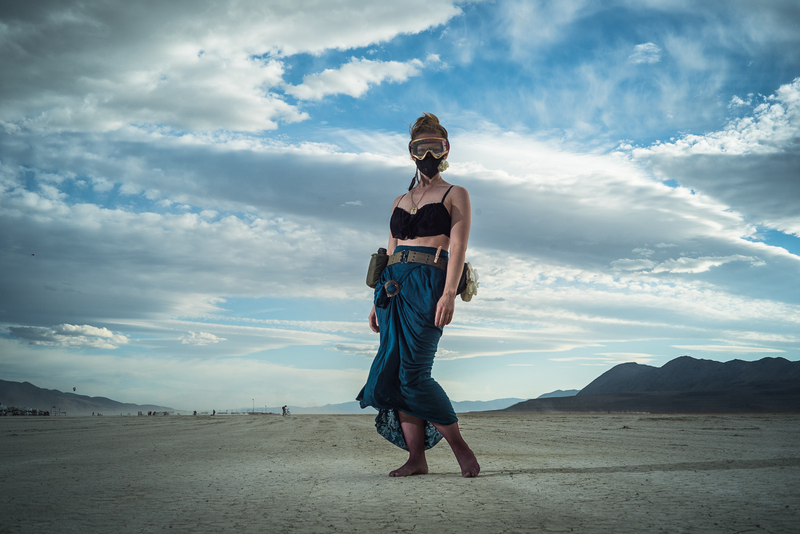 I hope you enjoyed this post.For more Burning Man inspiration here on North to South, check out How to Prepare for Burning Man. Is this said skirt you made? If so, it looks awesome dude! It is, indeed. Thanks! I’m really happy with how it turned out. I really love that belt, but I found the same one on amazon and the reviews were not good! Is yours good quality? I’d love to buy one like it. I got mine from an army surplus store, so it was made out of durable material AND it was affordable. It made it through one Burning Man and is still in great condition for the next one. I’d recommend seeing if you’ve got one near you, since that way you can see it before you’re buying it.